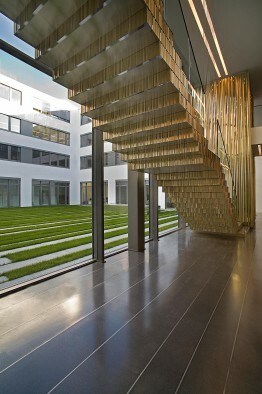 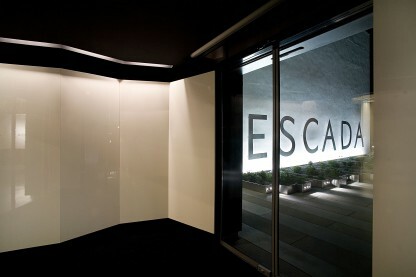 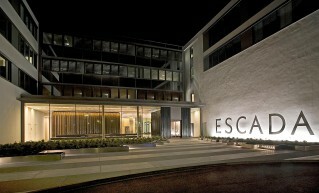 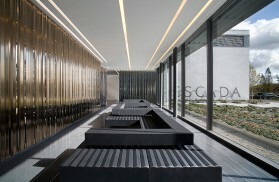 The corporate headquarters for the luxury brand Escada was designed to reflect the ephemeral, ever-changing nature of fashion. 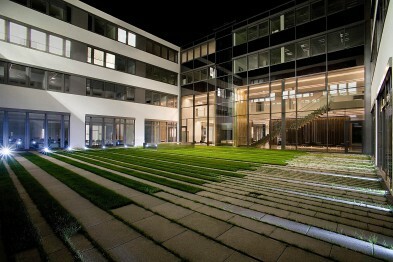 The exterior entry court is striated with a landscape of linear planting bands of four different blossoming species of flowers that change color to correspond with each of the fashion seasons. 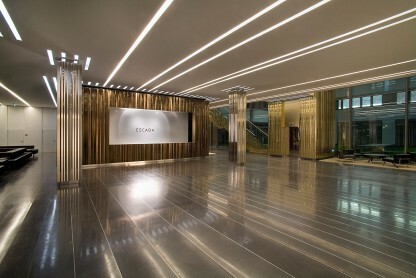 The main lobby interior is conceived as a large open plaza inhabited with architectural boxes containing the lobby functions, entry vestibule, receptionist desks, elevator, stair and cloakroom. 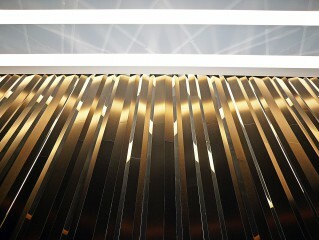 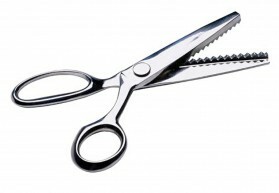 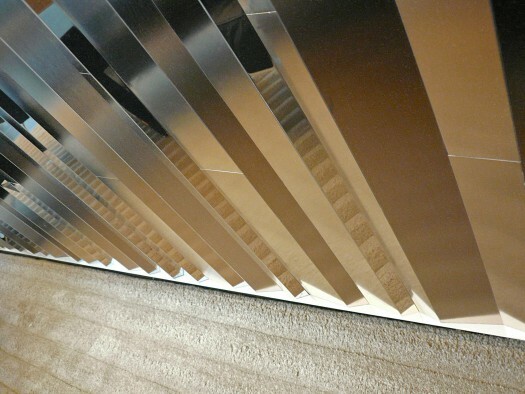 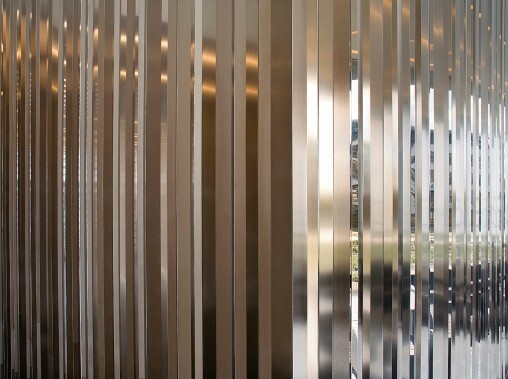 In spired by the serrated edge of textile scissors called “pinking shears”, each box is sheathed in faceted strips of polished, linished and brushed stainless steel tinted in bronze, light gold, silver and smoke gray to reflect and refract he natural and artificial light, movement and colors of the constant flow of visitors.